Hartsgrove Twp. 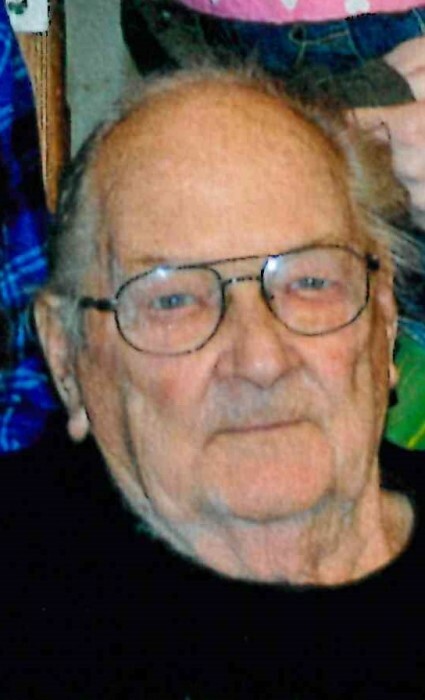 – Fred Wolfe, Jr age 89, passed away at his home on Friday, April 5, 2019. He was born on March 10, 1930 in Washington, PA the son of Clarence Fredrick and Rosella Catherine (Day) Wolfe. Fred married Shirley M. (Heffner) Wolfe on March 7. 1956 and was a Veteran serving in the United States Army. He worked for Hartsgrove Twp. as Road Superintendent and was self-employed as a meat cutter and truck driver. Fred was a member of Hartsgrove Masonic Lodge No. 397 and Hartsgrove Community Church. He enjoyed fishing, trains, baseball and coached softball. Survivors include his wife Shirley Wolfe, daughters Laurie (Darryl) Wolfe-Arp and Heidi (Marc) Turnbull, daughter-in-law Diana Wolfe, 15 grandchildren, 24 great grandchildren and great great grandson. Preceded in death by his parents, sons Bryan and Kevin Wolfe and granddaughter Hannah Sundberg. FLOWERS - Please have flowers delivered before 1pm on Monday.